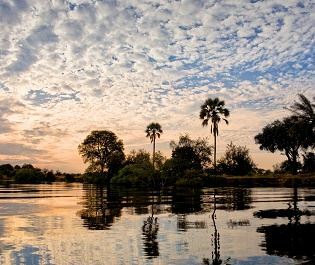 If you're seeking a journey into the wild then Kafue is the perfect place to come. 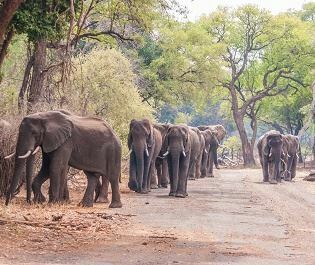 This epic national park is one of our off the beaten track favourites, a place filled with dramatic wildlife and unusual experiences. Bigger than Wales but receiving very few visitors, it feels like an adventure playground just for you. 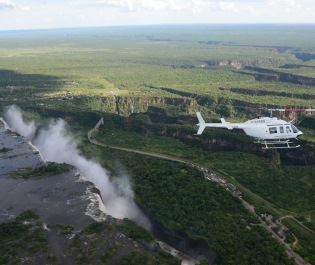 The excitement starts with getting here and a fly-in safari is definitely the easiest and quickest option. 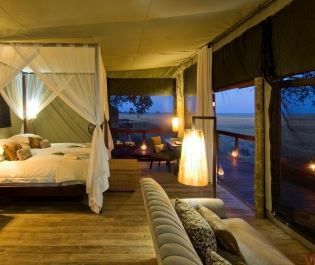 Touch down and guides from a luxury camp will reveal the wilderness. Each day is personally customised and we love the mix of walking, driving, and boating. All of them feel like an adventure, which is a contrast to the tranquility of the accommodation. Discover Kafue's myriad of landscapes. A safari in Kafue takes you through a mystical mosaic of habitats. The flat open grasslands of the south reward patience, a lion pride or pack of wild dogs among the highlights hidden away. Travel north through miombo woodland, where kudu and bushbuck are among the antelopes that emerge to prance across granite outcrops. Then follow the curves of the Lufupa River, a boat safari ensuring you can admire everything drinking along the banks. In the far north of Kafue are the Busanga Plains, evocative grassland that's interrupted by wild islands of date palms and sausage trees. If your time is limited, this area is where wildlife is most concentrated. Epic herds of puku and red lechwe are joined by raucous buffalo, energetic wildebeest, and a fantastic mix of predators. We've enjoyed some sublime encounters with spotted hyenas and cheetahs here, especially where woodland hiding places meet open plains. The perfect area for Africa veterans. Kafue is perfect for anyone who has visited Africa before and wants a lesser known destination, along with everyone who seeks an adventure. With the fly-in option you can effortlessly combine the park's wilderness with one of Zambia's more famous destinations like South Luangwe and Victoria Falls. We think that it's a park you'll never want to leave. The scale ensures there's always somewhere new to explore, while the accommodation along the river provides an iconic blend of wilderness vibes and comforting luxury. The idyllic mornings here never fail to take our breath away – as the mist rises from the plains, there’s no doubt you’ll feel Africa’s charm. 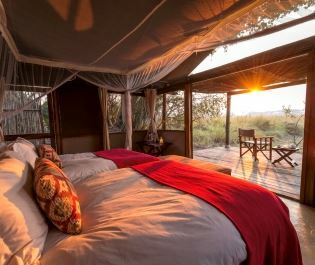 Head to the Busanga plains where impressive lion prides roam, and stay in the luxurious tented lodge full of opulence and comfort.